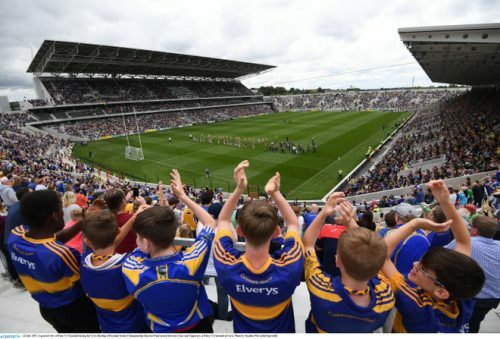 The new Páirc Uí Chaoimh got a game to match its official opening as reigning All Ireland champions Tipperary had to dig deep to hold off a determined Clare to reach the semi-finals. Tipp’s reign as champions looked in serious jeopardy when the Banner County rattled off six unanswered points to move within just one point of their opponents by the 66th minute. 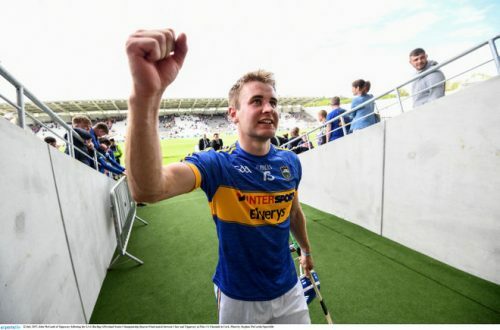 But as champions so often do, Tipp found another gear when it mattered most to finish strongly with five points to clinch a place in the last four. 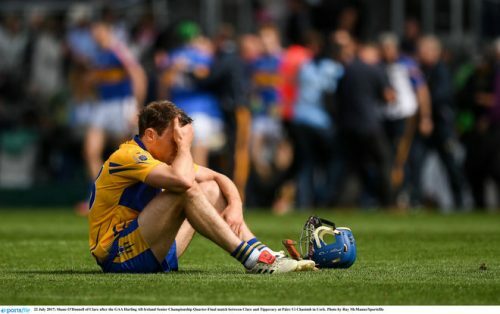 For a Clare side looking to follow up their 2013 success, it was another case of so near and yet so far, having lost out to Galway by six points at the same stage last year. “The overriding feeling here is total relief to have got through,” said Tipp boss Michael Ryan. “It was anything bar comfortable – six points in-a-row to take it down to one point and all the momentum with Clare. Tipp were bright in the opening quarter, building up a 0-8 to 0-2 lead by the 14th minute with Noel McGrath, John McGrath, Seamus Callanan, and John O’Dwyer all scoring from play. Clare weren’t without their chances, but were less clinical when they needed to be the exact opposite. The concern for Tipp, which will not have gone unnoticed by their rivals, was the joy Clare had at finding a route to Daragh Mooney’s goal. Conor McGrath rattled the back of the net, only for Tipp to enjoy a let off with McGrath penalised for over-carrying. Clare had been shown the way, however, while Tipp didn’t heed the warning, and within the space of a minute Aaron Cunningham struck for two Clare goals that turned the game on its head. In both cases, Clare won the high firstly through McGrath and then via Shane O’Donnell – with Cunningham the beneficiary. It was route one stuff, which Tipp were struggling to deal with. It was the brightest of purple patches for Clare, but they couldn’t capitalise and like a boxer on the ropes, Tipp were able to hold on and ride the onslaught out. 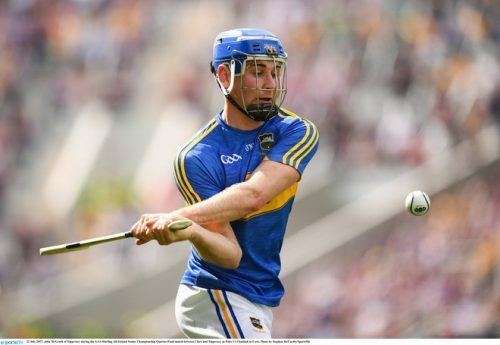 Michael Breen’s point ushered in another period of Tipp ascendancy, and the holders were able to take a useful five-point lead into the break. They increased that margin to seven after the resumption, and by the 55th minute they led 0-23 to 2-10 and seemed well on their way to a semi-final place. But Clare suddenly reignited the match with six points in a row, with substitutes Peter Duggan and Cathal McInerney playing a prominent role in the revival. It was game on again. A John O’Dwyer free settled Tipp’s nerves, and then Padraic Maher and Brendan Maher combined – the former plucking a ball from the air before winning a free that the latter despatched over the bar from 90 yards. It was a momentum changing moment and Tipp seized upon it, unlike Clare following their first half goal double, to rattle off three more scores to make the game safe. Cathal McInerney’s last-gasp goal for Clare came too late to influence the outcome, but Tipp will need to address the defensive weaknesses exposed by Clare before the semi-finals. “It’s not nice to be taken for a goal and to be taken for two in the first half certainly wasn’t in our script,” added Ryan. TIPPERARY: Daragh Mooney; Donagh Maher, Tomás Hamill, James Barry; Séamus Kennedy, Ronan Maher, Pádraic Maher; Brendan Maher, Michael Breen; Noel McGrath, Patrick Maher, Dan McCormack; John O’Dwyer, Séamus Callanan, John McGrath. Subs: Subs: Sean O’Brien for James Barry (45), Jason Forde for Michael Breen (60), Niall O’Meara for John O’Dwyer (68), Steven O’Brien for Callanan (71). CLARE: Andrew Fahy; Seadna Morey, Patrick O’Connor, Cian Dillon; David Fitzgerald, Conor Cleary, Jamie Shanahan; Colm Galvin, Tony Kelly; Cathal Malone, Pádraic Collins, John Conlon; Shane O’Donnell, Aaron Cunningham, Conor McGrath. Subs: Peter Duggan for John Conlon (32), David Reidy for Podge Collins (52), Cathal McInerney for Cathal Malone (57), Jason McCarthy for Kelly (67).